Affiliate marketing can be the biggest source of a blog income if operated wisely. Basically, it’s a referral program. User clicks on a link from your blog to buy products from there and you earn a commission out of it. Bigger the product, more earning you can get. But, as the seller or link provider need certain kind of content from your blog which is related to their product, it’s not that easy to start affiliate marketing blog. For example, you can’t sell iPhone on a blog of herbal medicine. Also, you need lots of traffic, to begin with. Build up a good network with the blogger of the same niche. Comment on their blog, share their content, ultimately it will give you backlinks and drive torrent of traffic back to your website. Choosing the right product is the first step towards earning. Make sure to choose something which has lots of future scopes. The yesterday’s bestseller cannot be a future bestseller always. There are many trends that come and go in the e-commerce market and if you don’t choose the right one, all your hard work will go into a vein. The most relatable example is- Like fidget spinner was once a hot product, now no one is buying it now. Also, make sure the credibility of the product. If possible, use the product before selling it on your blog. If you are not so confident about it, how can you advertise it? Also look into their affiliate program, if it doesn’t offer much that it would be waste of your time. If the price is too low, the commission would be much lower. All your hard work will not get you much money in this case, so it might not be a worthwhile product. Product review: With a product review, you can actually sell the product directly from your blog. Your reader needs to know how the product is used and how it helps you in your lifestyle. Make sure you have used the product, if you cheat your readers with the cheap product just to earn some commission, you would lose the integrity and more than that, your traffic too. Product comparison: With product comparison, now you can write about two products. You can separate them with their advantages and disadvantages and make a conclusion about your affiliate product and give them the link. With competition, you can also dig deep in too as you need to feature the best part of time against another product. Link to your post: Often we try to link something with words we have written on the blog, it’s the same thing here too. You put your link in all over your blog, with relevant words which are connected with the product; it will increase the chance of selling. Creating a list: There are many posts out there with a list of products and they put it in ascending or descending order to compare it. You can put a small review of many products and create a list of top products and put affiliate link through it. New feature post: You can always give a shout out to the old affiliate product when they add a new feature. With that, you can gain advertisement by writing the detail about the added new features. Giveaway: This is not totally free, but it could work really well. Basically, you invite everyone to a free giveaway and you can write about the product and put your link into it. Giveaway might be small and few, but the traffic you would get is much bigger. In the end, it all depends on the traffic you can generate, which will be based on your content. So how to write a content which can drive more traffic and get more commission from affiliate product. If possible, add your videos and pictures using that product. It’s not always about the content, you also need to spread the word. The social network is the best place to share your content and attract people from there. The social network is the best place where you can interact with people and pitch your product directly to them. Guest posting is also one option. Guest posting on high traffic blog can generate more leads and you can sell more with their traffic, so you can get more sale and more readers at the same time. 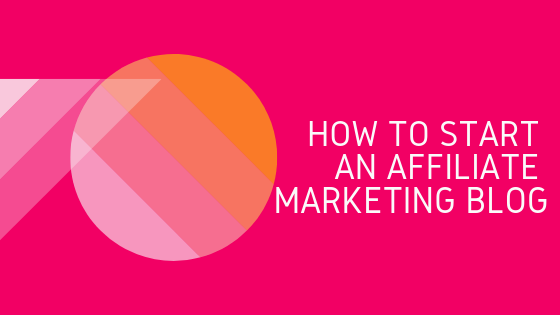 Tracking: Affiliate marketing can be tracked, which is the best With other means of marketing like reviews, an email does not provide enough data which can indicate their sales. Relevant content: With blogger, blogging about the same thing as your product, now the sellers can have a bigger audience than before. The last remaining question is- where to find the website to affiliate with? One of the best websites for affiliate marketing is Amazon that is also known as Amazon Associates and has a wide range of options for its associated partners. eBay, and a lot more to explore.